Winner of the WCA’s Best Wine Educator and Wine Communicator of the Year 2017 Gill Gordon-Smith tells us how it’s ok to fail and why after 20 years flying around the world’s wine regions her South Australia homeland is where she’s put down her roots. In your career as an air hostess, what spurred you to drive the development of the world-first "Sommelier in the Sky" program with Qantas? I had originally come from the wine industry and whilst flying I spent 20 years visiting wine regions around the world on what I called the “Qantas scholarship.” Qantas already had a world class wine selection program started by the one and only Len Evans and the Sommelier in the Sky program was a natural progression. Four amazing people (who all happened to be flight attendants) with true passion for wine and complementary skills from previous lives formed a working group and together we created a world class program that brought three levels of training to over 5000 people in seven cities across four countries. Staff even came on their days off and it was an absolute success. People came away with great skills, more confidence and a connection to Australian Wine. The whole program was driven by passion for education and a curiosity about wine that has never waned. What inspired you to make the transition to become a winemaker and merchant? After 20 years of flying and with a previous life in education and wine I decided to take a leap of faith and jump feet first back into the industry. When I flew into London I used to order wines from Caves de Pyrenne to be delivered to the hotel. The wines in their portfolio and the way they communicated about wine inspired me to start a retail shop and education tasting bar in McLaren Vale. 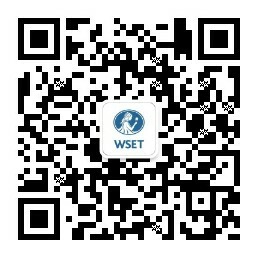 I had also completed WSET qualifications and wanted to bring the program to SA. I had worked vintages, picked grapes and worked in wineries from a very early age and making wine was another natural progression. My first vintage was in 2012 and now we export to Japan and Singapore. We are small producers and I like it that way. The judges of the WCA Wine Communicator Awards 2017 commended on your interest and drive to stay abreast of new developments in wine. How do you keep on top of the latest trends? Digital communication has made this much easier, I use Twitter, Facebook, Instragram, subscribe to Daily wine news, Drinks, WCA, WSET, Decanter, Jancis et al. I read, books, articles, magazines. I have a journalist’s curiosity and a wine educator’s passion to find out more so I hunt down new styles and places, talk to people, ask questions and attend seminars, tastings and wine shows. Once the wine bug bites it can be dangerously exciting and I can’t imagine my life without it. Wine people are the best people. You’re known for your “growth mindset.” Can you explain what this means and how you communicate it to your students in your role as a WSET Certified Educator? A growth mindset is one where you learn from each experience - failure is not a bad word it is just a step along the way to success and learning more. Persistence is everything, even more than natural talent. I share my successes and my failures with my students and encourage them to learn from theirs. For example the WSET Level 3 Award in Wines exam is a tough one for some people and many students worry about exams. I encourage them to learn from the exam if they are not successful the first time and move on from there, see where they need to improve and keep moving, ask for help, form study groups, try new ways of learning. You’ve travelled the world’s finest regions tasting and learning about wines. What is it about South Australian wines that always brings you home? We have over 50% of Australia’s wine grapes grown here in SA. We have some amazing vineyards and people, from the more traditional to natural winemakers. It’s all around us here, even on our car number plates we are the “wine state”. It’s a state where innovation is encouraged and tradition celebrated. The national wine centre and the AWRI are headquartered here. You can be tasting at Penfolds, Wendouree, Henschke one minute then heading up to the hills to try Pinot and Chardonnay and the Basket Range wines, drinking some of the best Riesling from the Clare and Eden Valley then Montepulciano or Fiano from Mclaren Vale and Langhorne creek. We have so many different regions and microclimates. I consider myself so lucky to be in this industry and at such an exciting time for Australian wine.